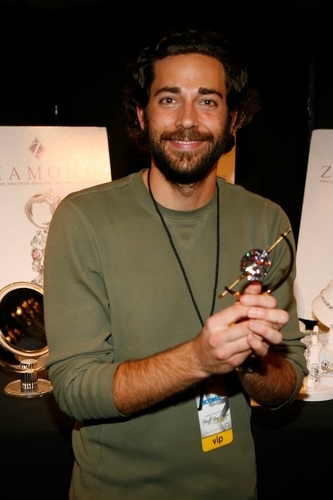 Celebrity and television actor Zach Levi visited us at Ziamond Cubic Zirconia CZ Jewelers of 14k gold, 18k gold and platinum jewelry. Ziamond offers a wide selection of the finest hand cut and hand polished cubic zirconia cz available today. See our selection of wedding sets, engagement rings, earrings, necklaces, bracelets, pendants and extensive collection of men's jewelry. All Ziamond jewelry is set in 14k gold, 18k gold and platinum settings that are the same mountings used to set real diamond jewelry.